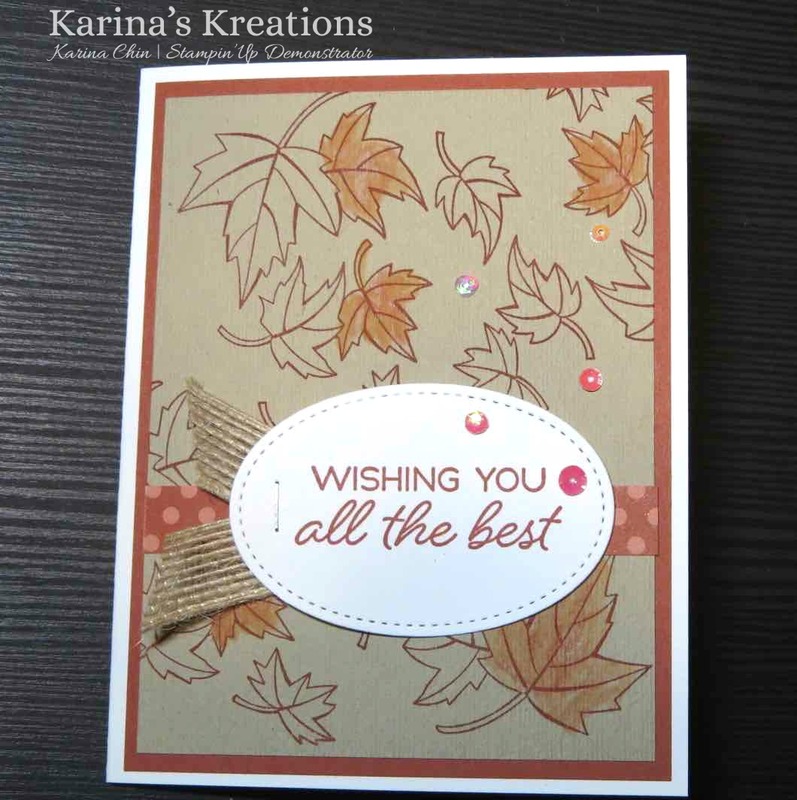 Karina's Kreations: Last Day to get FREE Ink Pads! Last Day to get FREE Ink Pads! This is the last day to get your FREE ink pads with the purchase of the starter kit. The starter kit $135.00 and you pick $165.00 in product plus 10 ink pads in the color family of your choice. On subsequent orders, you will also save 20%. Isn't that a great deal? 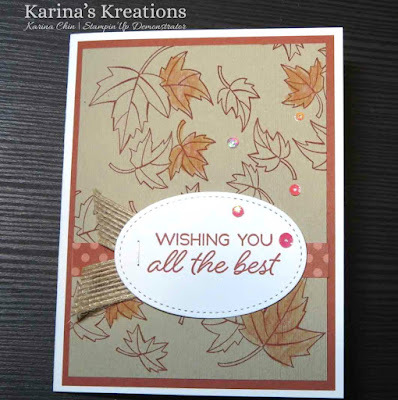 You could order the Blended Seasons bundle in your starter kit. 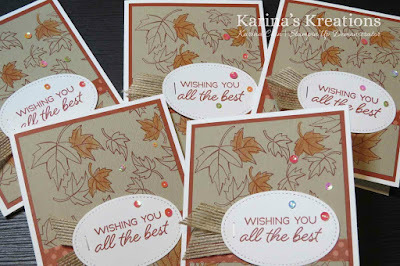 You get a stamp set and coordinating framelit dies #149894. You can also get the new watercolor pencils $149014. I used the new pencils and a blender pen to color my leaves. 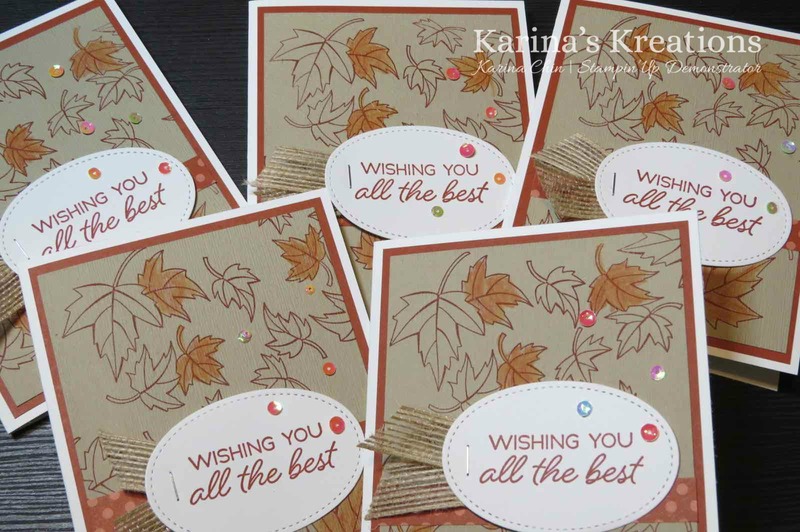 If you love to stamp with friends, you'll join my Krafting Crew community. We get together monthly and for special events. I also offer an exclusive facebook page for our group.